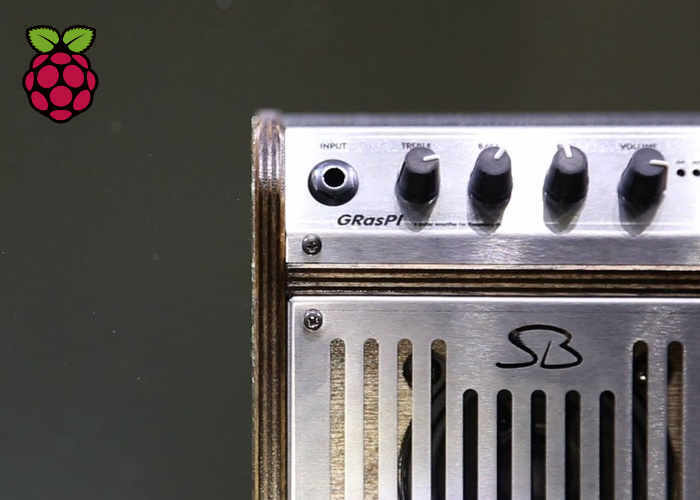 Sandro Bechelli based in Florence Italy has created a new Raspberry Pi powered guitar amplifier which she has aptly named the GRasPi. The GRasPi amp is powered by a 15 W battery and offers a compact size with comprehensive features all powered by the awesome Raspberry Pi mini PC which offers a wide range of effects. Watch the demonstration video below to learn more about the Raspberry Pi guitar amplifier which has this week been launched by a Kickstarter to raise the €35,000 Sandro requires to take his guitar amplifier into production. GRasPi is a 15W guitar amplifier, battery powered, backpack frendly, borned as an accessory for Raspberry-Pi, it is a small amplifier with a clean channel internally connected to an audio codec that harnesses the power of the Raspberry-Pi to run open source app like Guitarix (or others) which, controlled from an external MIDI pedal, offers a very large variety of custom sounds to the musician. The long battery life allows a good autonomy even to street musicians, furthermore with appropriate software the MIDI input port can be used with a master keyboard and enable its use simultaneously with a guitar. The best way to access the Raspberry-Pi’s desktop is via wireless with VNC, so you can experience the sounds you prefer and create your own presets, for your gigs you can simply use a MIDI pedal to handle them. The small size and low weight combined to battery (3-cell 2600mAh 18650) make it the perfect companion of your guitar or an alternative when you don’t have the opportunity to use your large and heavy amplifier. For more information on the new Raspberry Pi guitar amplifier jump over to the Kickstarter website for details and to make a pledge by following the link below.